Marcia Reis is an activist from the network Amarribo Brasil, Transparency International’s partner in Brazil, who went to jail when she spoke out against corruption. Unfortunately, in Brazil, all too often whistleblowers are considered traitors and are victims of threats and persecutions. “When an activist reports corruption or irregularities they are chased by those they are accusing. I was jailed when I demanded more accountability and social control in my municipality. In in my city, public authorities considered that to stand up for my rights is against public order,” Reis told me at a recent gathering of anti-corruption activists in São Paulo, Brazil. Reis was lucky. “In the end the federal authorities confirmed that these accusations against me were false, I was freed and now they are working on my case,” she said. Threats, persecutions, unjustified detentions and even murder are the risks facing people that speak-up about corruption in Brazil. But their evidence is essential for uncovering corruption in all sectors and levels of society. That is why it is so important to guarantee their protection; if that is done more people will come forward and more corruption will be investigated and stopped, which in the long run will improve people’s everyday lives. “Today one of the biggest problems facing anti-corruption activists in Brazil is the length of the time between when the accusations are made and the beginning of investigations. During that time the state doesn’t provide any kind of protection to the whistleblowers,” said Reis. Brazilians have been asking for strong whistleblower protection laws for years but in Brazil, like in many countries in Latin America, people often feel that it’s not worth reporting corruption because the risks are too high and chances of success too small: only about a third of corruption cases are prosecuted at the federal level. Reis’ case is one among dozens that happen in Brazil, especially at the local level where public authorities have high discretional power and where the boundaries between the public, private sector and even organised crime are not always clear. In these circumstances, to report corruption means exposing oneself. In 2015, for example, a journalist was murdered in Minas Gerais for reporting a case on corruption, child prostitution and drug-trafficking. According to the Committee to Protect Journalists 62 per cent of the journalists killed in Brazil since 2011 reported on corruption. Initiatives such as SOS Journalist, a new platform for journalists to report attacks while they are doing their jobs, is a new way to help protect them and register abuses. But more should be done. Brazil needs to strengthen its whistleblowing protection at all levels of government with better legislation. There are good frameworks available for guidance, including Transparency International´s whistleblowing principles and the Organisation of American States model law which are both based on international best-practices. Given the importance of the problem, in the next years Transparency International will promote the protection of witnesses and victims of corruption in Brazil through the recently created Centro de Acopio y Asistencia Legal Anticorrupción (CAIAC) which is specifically there to offer people a safe place to report corruption. It is part of TI’s Advocacy and Legal Advice Centres (ALACs) that operate in more than 60 countries and have been in contacted by over 200.000 citizens worldwide. 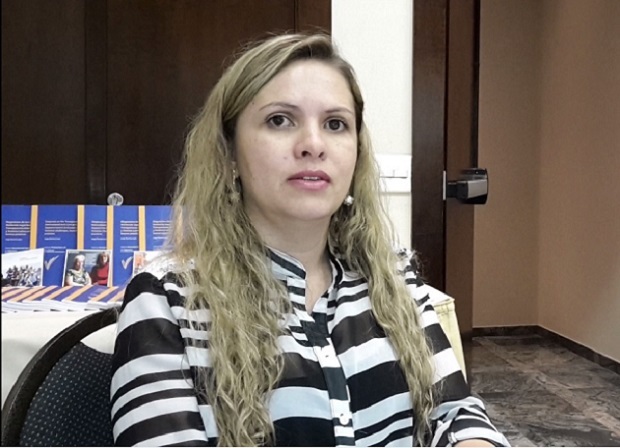 The Brazil centre (brazil@transparency.org) will provide free and confidential legal advice to victims and witnesses of corruption so that they can effectively exercise their rights. For now CAIAC will operate only in the State of São Paulo. Later, we will expand the service to other places in the country and people will be able to report via smartphones and web platforms too. We want people from all over Brazil to have access to this service.